Kirchenkampf has been John Gore’s primary project since 1986. Ambient, industrial, & experimental sounds influenced by prog rock, avant jazz, classical music, Tangerine Dream, & of course Brian Eno. A perfect match to us here at Silber. On Swimming Towards The Light, Kirchenkampf’s compositions are inspired by facing a fear of drowning. 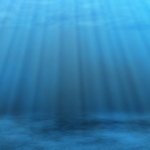 The sounds shimmer like water with sounds that are both distant & submerged as well as in your ear present. A journey & a soundtrack, somewhere between a horror movie soundtrack & guided meditation. Listen in & survive your fears alongside Kirchenkampf. 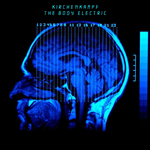 Kirchenkampf has been making experimental & electronic music for nearly 30 years. We're pleased to present a five minute exploration into space & body transference.